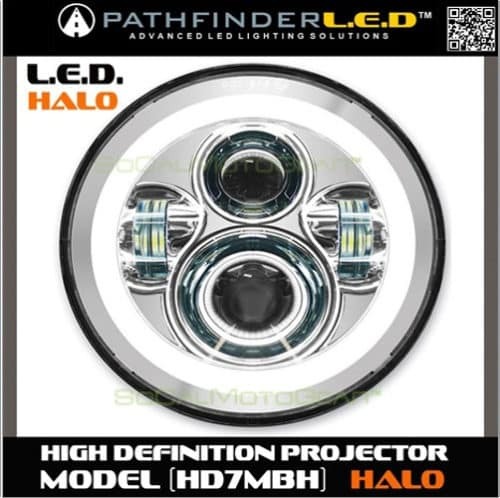 [HALO] HD7MBH - 7" LED HIGH DEFINITION PROJECTOR HEADLAMP - AdMore Lighting Inc. Earn up to 1,190 Points. 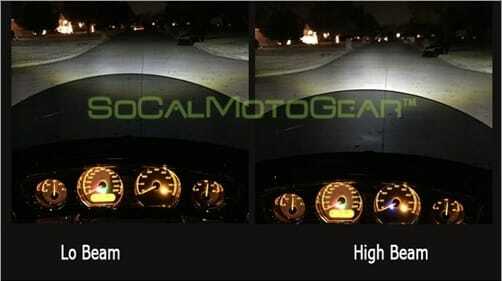 This High Performance LED headlamp will replace your stock headlight to LED. 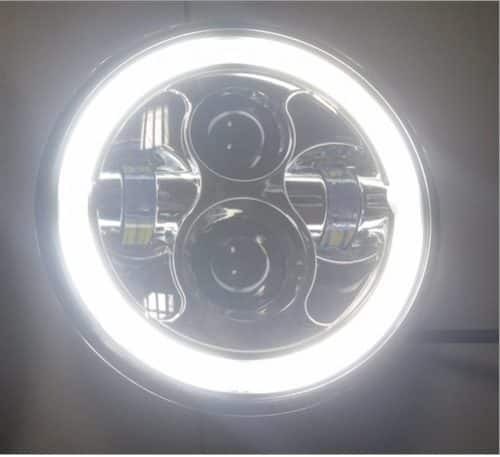 Get ready to see like you’ve never seen before and by converting to an LED headlamp, you draw much less from your battery/alternator while dramatically increasing your visibility from oncoming traffic. See better than ever before, Upgrade today and see what you’ve been missing! Unsure which of our LED Head Lamp to choose? It all comes down to your preference and design. 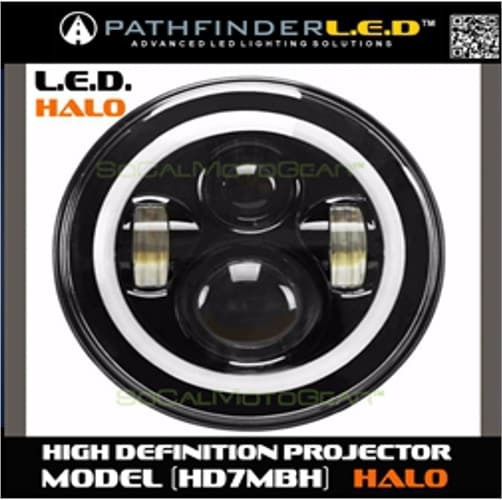 Check the Lumens rating and if you like Halo or NON Halo. 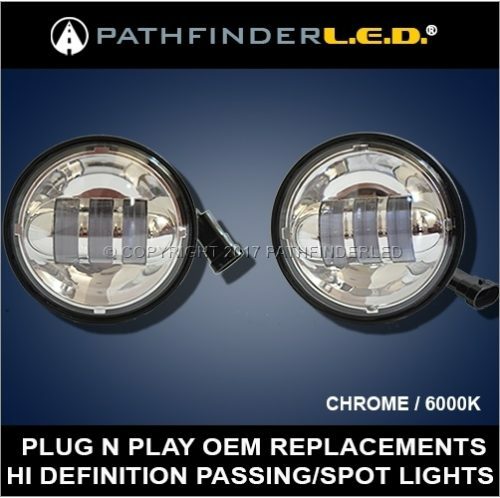 Some models come with optional Halo which is a white LED glowing around the circumference of the headlight. 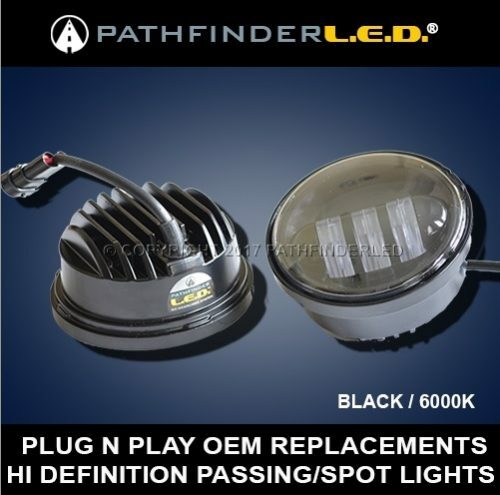 Most complaints that we’ve heard about other expensive LED headlamps is the lack of side illumination so we listened and with the PathFinderLED® HD7M we use better optics and LED chips to power the light and the end result comes close to H.I.D. like performance. Reflector Design: Don’t get confused with common Reflector design which uses reflectors to bounce off the original light source which usually doesn’t address a wide/far enough beam to get you good coverage. 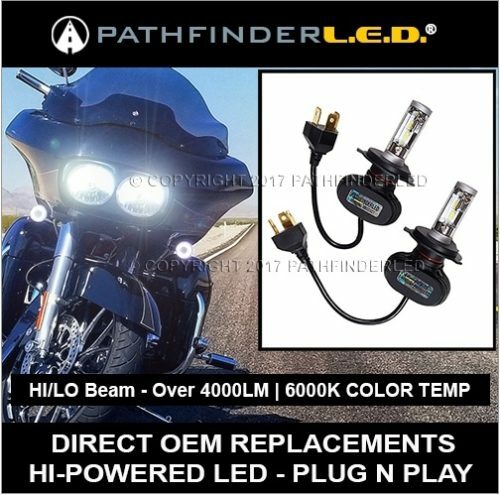 Most commonly, stock bulbs can do a better job.You barely see more at night and forget about being visible during the day, you might as well stay with your current halogen lights if you are going with reflector. 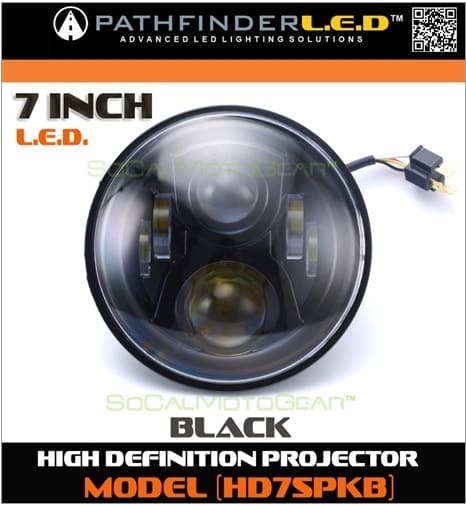 Projector Design: More complex and unlike reflector design which is common these days, the light source behind a projector is much more intense and the projector lens helps project the light source further and wider down the road. 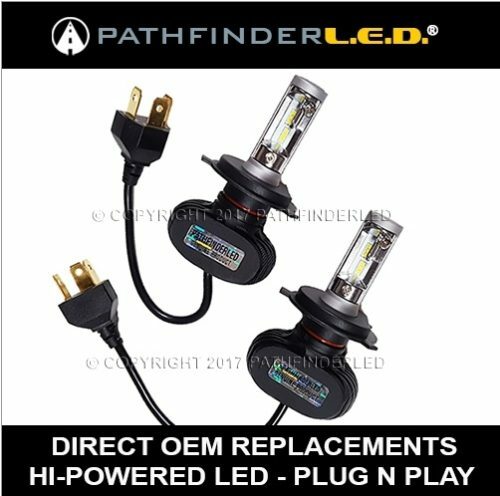 If you have side passing/spot lights, don’t forget to add our our PATHFINDERLED™ Side Passing Lamps and you’ll look like a locomotive coming down the road. 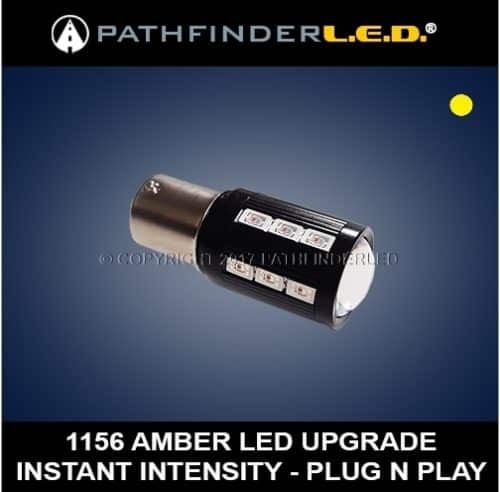 Choose Between INTENSE PASSING LIGHTS, PROJECTOR PASSING LIGHTS OR DROP IN LED BULBS. They all do a great job of putting more light down the road and they put the stock bulbs to shame. NOTE: TO ENABLE HALO FEATURE, HALO WIRE NEEDS TO BE CONNECTED TO AUXILIARY WIRING.